Misty Moonlight: 1 bed / 1 bath. Sleeps 4. Misty Moonlight is ready to spoil you! 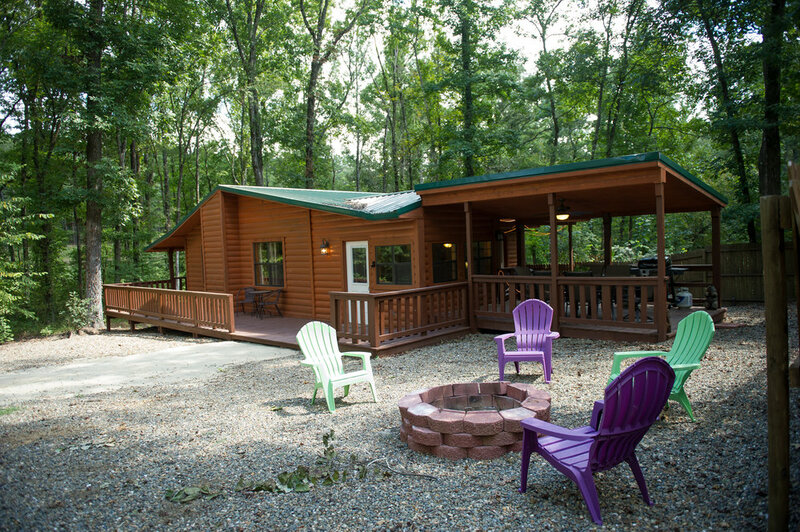 This spacious one bedroom couple’s cabin is just what you need when you feel like getting a special trip together. Celebrate your successes by sleeping late in a comfortable king size bed. Get to know each other again during long nights on a secluded deck. Spend the morning sharing a pot of coffee on the large covered front porch and remember what you thought was so special about them. Rediscover the excitement while exploring Broken Bow Lake and Beaver’s Bend State Park. Rediscover the romance with a private hot tub and outdoor fireplace. And appreciate the bonds between you by enjoying a movie and a bowl of popcorn before putting the kids to bed on the pullout sofa.